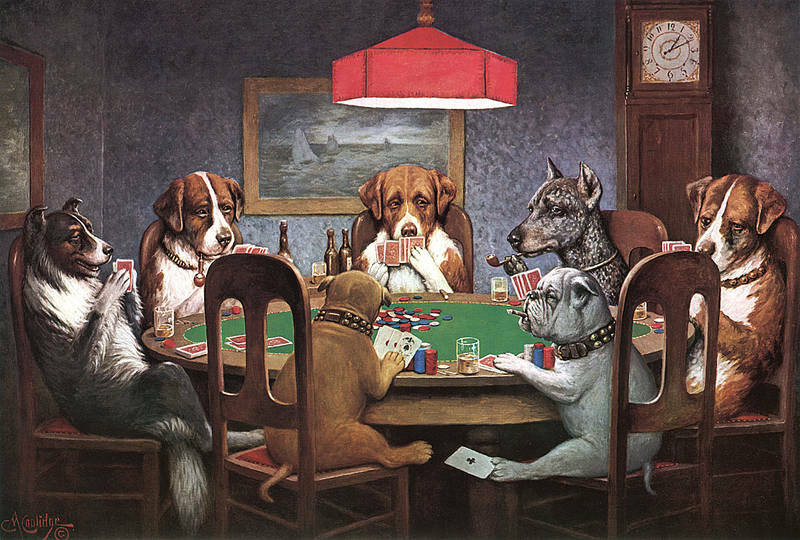 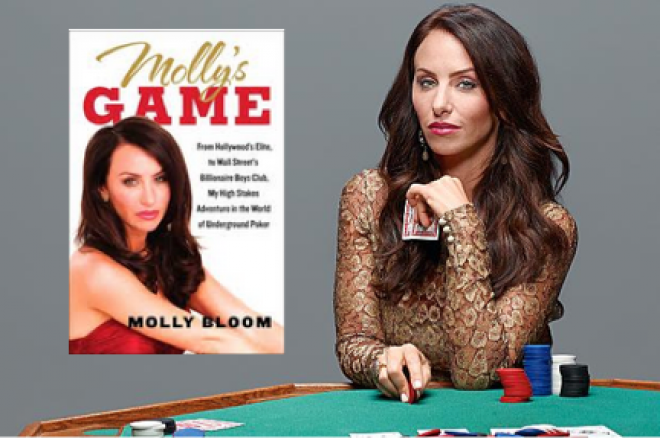 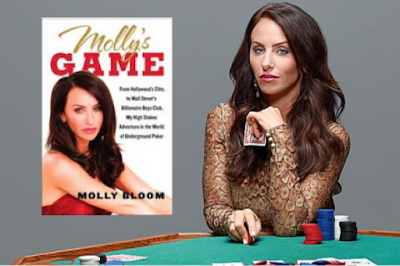 "...'Molly Bloom' (Chastain), is an Olympic-class skier who ran the world’s most exclusive high-stakes poker game for a decade before being arrested in the middle of the night by 17 FBI agents. 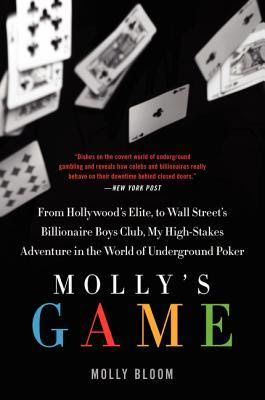 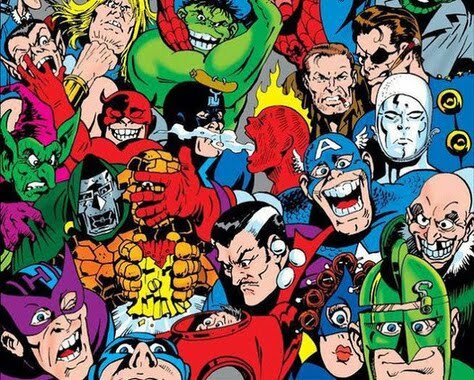 "Her players included Hollywood royalty, sports stars, business titans and unknown to her the Russian mob. 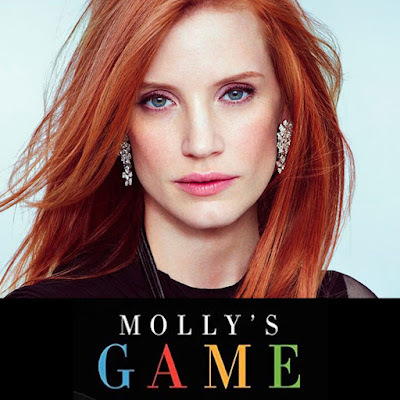 Her only ally was her criminal defense lawyer 'Charlie Jaffey' (Elba), who learned that there was much more to Molly than the tabloids led us to believe..."
Cast also includes Samantha Isler, Brian d'Arcy James, Chris O'Dowd, Michael Cera and J. C. MacKenzie .